PBSA offers the children a glance into the professional world and gives them the much needed exposure for future prospects. Living in a geographically isolated region, away from the usual information sources available to children of their age , we feel it is necessary for the Hunar Ghar children to have role models to look up to while growing up. Activities such as these help them discover new avenues and also foster team work. 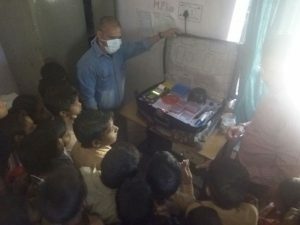 As a part of the activity, Class 4 visited Primary Health Centre at Mandwa. They interacted with the medical officer and staff to learn about the set-up and processes at the hospital. They also learnt about the various communicable & non-communicable diseases, vaccinations and prevention techniques. 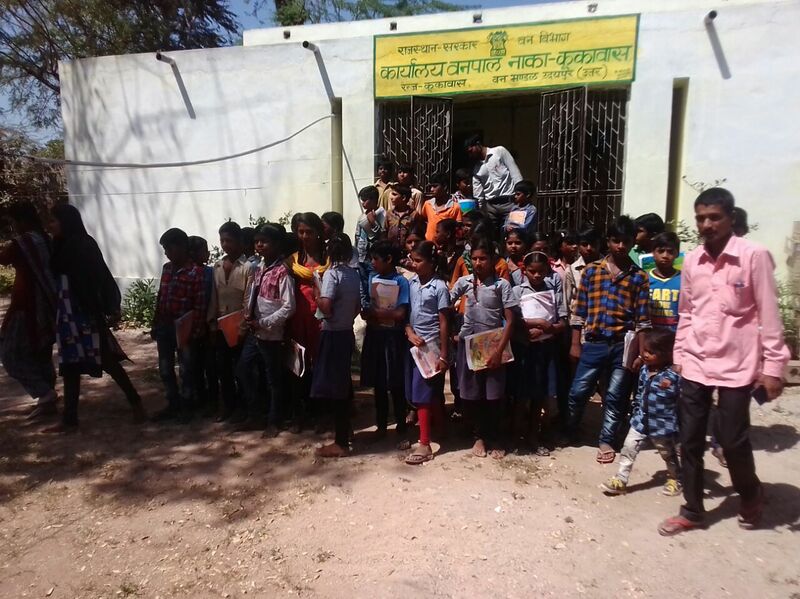 Class 6 visited Forest Deptt Office at Kukawas. They formed themselves into teams and assigned tasks before-hand for managing the visit. The forest officer and the staff gave them a tour of the nursery. They learnt about the various plant species found in the region, their uses and identified fruit-bearing tress& shrubs. Their class teacher observed the interaction and will later evaluate the students based on the way they interacted. The students will submit a report based on the visit and the learning. Class 7 visited Post Office for their PBSA. In a session with the officer at the PO, they learnt about postage stamps, revenue papers, post office banking accounts and the various government schemes run by the post office.